Our goal is to connect people with the best local experts. We scored math tutors on more than 25 variables across five categories, and analysed the results to give you a hand-picked list of the best math tutors in Houston, TX. The qualified tutors at Advantage Testing of Houston are dedicated to helping students gain the skills, knowledge, and confidence needed to excel at standardized tests. For more than 25 years the company has been helping elementary, high school, and college students improve test performance and increase grades and proficiency in subjects like math, science, history, and language arts. The company's Kindergarten Admissions Preparation Program helps children with social skills, fine motor skills, and critical thinking skills, and the tutors use fun games to help keep children engaged. Dyscalculia Services provides caring, research-based instruction and support for students living with the frustrations of dyscalculia. The company begins with an in-depth assessment and evaluation of students' work to pinpoint the areas of difficulty. Highly trained tutors work with students in weekly 50-minute sessions to help the student learn essential study skills and techniques, and parents receive specialized instruction to better help students learn and succeed. The company's website offers free downloads and activities, free webinars, and a list of helpful dyscalculia resources. Elite Private Tutors offers personal service and a range of tutoring services provided by highly qualified and experienced instructors. Customers can attend group classes, or purchase one-on-one tutoring for subjects like math, English, history, science, and foreign languages, as well as college test prep, and specialized Pre-K admission preparation and support. The company's math tutors help elementary, middle school, and high school students, as well as college students who are struggling with subjects like algebra, calculus, and trigonometry. Expert online tutoring is also available. Leaps and Bounds Tutorial Center is an award-winning tutoring company with a proven track record of success. The company serves K-12 students and offers after-school private tutoring sessions, group classes, and guided study sessions for testing and college entrance exams. Assistance is available for science, reading and writing, AP subjects, and all levels of math from basic adding and subtraction to college-level algebra. One happy parent said, "The teachers work so hard to help your child, and you can tell that they really care." Math Tutors In Houston is a full-service company that offers customized individual, group, and online tutoring for students at almost every level of math. Tutoring is available for basic elementary math, algebra 1 and 2, pre-calculus, college level algebra, trigonometry, and geometry. Instruction is also offered for chemistry, physics, and job-related math skills testing. Customers can purchase expert coaching to help prepare for GED, SAT, STAAR, and other testing. The company also offers a 10-day summer math camp for students in 4th-11th grades. Mobile Math is a Houston tutoring company that provides personalized math instruction and support from highly experienced educators. The company's tutors help students with K-12, undergraduate, and graduate-level math and statistics, and provide expert instruction for theses and dissertations, as well as STEM degree coaching, and corporate statistics consulting. Eight-week online refresher courses are available for math and statistics, and every online instructor has a Masters or Ph.D. First-time customers can use the contact form on the website to schedule a free 30-minute consultation. MrsTutor.com provides junior high, high school, and college students with private academic instruction and test preparation, provided by a qualified tutor with more than 40 years of experience. From algebra to trigonometry to probability and statistics, the company helps students increase grades, test scores, and self-confidence. For a flat fee of $60 per hour, children and adult learners receive expert math tutoring, standardized test preparation, and instruction for TI 83 calculators, and business topics such as finance and economics. Group tutoring sessions are available on request. Old School Tutoring offers top-quality instruction for children aged 6-18 who are struggling in school. The company's tutors are Rice University students who excel in math, language, and science and provide one-on-one assistance and coaching to help kids improve academic performance study skills, as well as support for kids who are making the difficult transition between grades. The company also offers after-school day care, student pickup, transportation, and drop-off, as well as caring, individualized tutoring. The experienced educators at Oliver Tutoring are proud to be listed among the Best Of 2015 by Thumbtack and strive to provide the best possible math, science, engineering, and tech tutoring. The company serves students from grade six up to college-level and chooses a tutor that is best matched to the student's individual needs and challenges. Test preparation service is available for SAT, PSAT, ISEE, and other standardized tests, and tutors provide essay review services for college admissions. Parents and students love the "friendly environment, and highly qualified teachers" at Star Leaning, and the company offers a range of private tutoring courses, test prep, and after-school homework support programs. Every new student is given a diagnostic testing to determine skill levels and pinpoint areas that need work, and the company's instructors create customized tutoring plans designed to increase students' academic performance, skills, and confidence. The company also specializes in courses designed to help high-performing students excel in academic competitions. Study Dorm is a team of professional math tutors who offer individualized, one-on-one instruction and support. The company provides support to students from Kindergarten to college and covers every level of math, including basic arithmetic, pre-algebra, statistics, and trigonometry. Expert test prep coaching is available for tests such as the SAT, GED, and ACT. Students have great things to say about the tutoring provided by Study Dorm like, "in only a few weeks my grades have gone up tremendously." Teachers 2 Go is a premier home tutoring company that offers a range of extracurricular and academic classes for students and professionals. The company's expert tutors provide in-home instruction on subjects like languages, music, art, web development, and academics. 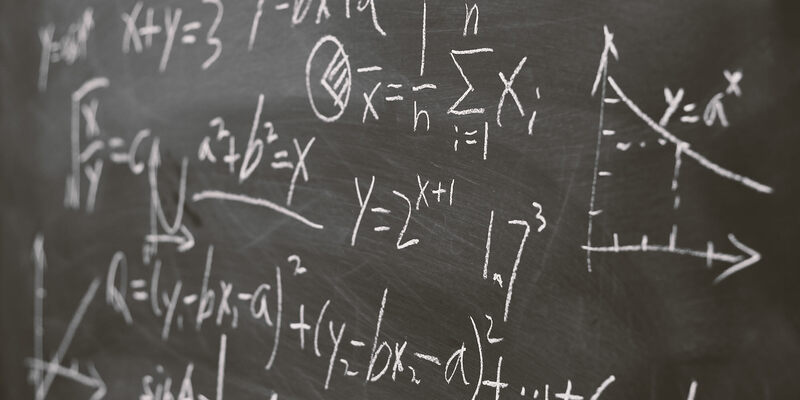 Math tutoring service is available for students at any level and includes general math, algebra, geometry, calculus, and Advanced Placement mathematics. Special tutoring is offered for students with special needs, and conditions such as ADD, dyslexia, and dysgraphia. For over a decade the qualified tutors at The Math Coach have been helping students of all ages excel in subjects like language, math, science, and on standardized tests and exams. Math tutoring is available for algebra, geometry, trigonometry, calculus, and statistics, from elementary school to college level. The tutors provide in-depth instruction for other topics like essay writing, reading skills, biology, physics, and languages such as Russian, Spanish, and Hebrew. Customers can call, email, or register a student on the company's website. Tutoring with Andria offers private tutoring from an MIT graduate who is passionate about helping students succeed. The tutor is experienced in teaching students of all ages, and is happy to help kids with issues like ADHD and dyslexia, and one happy mom wrote, "We would highly recommend Andria. Rest assured that your child will flourish in her excellent care". From college level science and advanced biology to elementary reading and writing, students get top-quality instruction and support. Woodlands Math Tutor is a professional tutoring service that provides expert one-on-one instruction in the comfort of the tutor's home. The tutor is comfortable with students of almost any age, from junior high kids to adults seeking continuing education, and is passionate about helping students gain a deep understanding a love of mathematics, using 3D models, anecdotes, and acronyms to help make math easier and fun. Customers and parents can look at examples of the tutor's custom-designed study guides on the company's website.